This 3 part series gives the correct structure and movement for gaining the most power for the martial and healing arts. 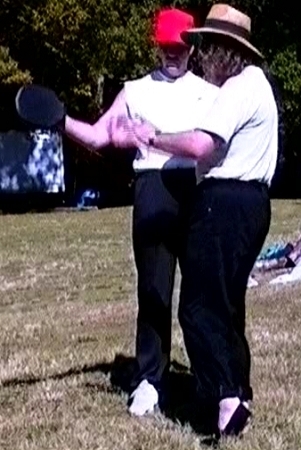 Training methods are given as well as Qigong Methods for this purpose. The Yang Cheng-fu form is used to show these principles. Much information necessary for correct martial arts training is shown. Tape three is more Taiji than general martial arts. This series is suited to all martial system hard or soft as it shows how to move the body correctly for natural movement.